Hundreds of nursery rhymes, kids songs, stories and toddler games in KidloLand, the award-winning kids app, chosen among the best family apps in 2016 by Google Play. KidloLand is recommended by 300+ Mom Bloggers and used by over 1 Million happy families worldwide. Delight your child with interactive nursery rhymes videos of Old MacDonald, Twinkle Twinkle Little Star, Wheels on the Bus and the Itsy Bitsy Spider. 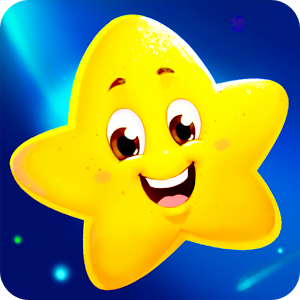 Sing along to hundreds of early learning kids songs and play fun preschool games for little kids. KidloLand is special because it lets kids interact with the characters onscreen as they play along. Mom's Choice Gold Award 2016 winner. Academics' Choice Smart Media Award 2016 winner. * Twinkle Twinkle Little Star, Old MacDonald, Itsy Bitsy Spider, Wheels on the Bus, If You Are Happy, London Bridge, BINGO, and more. * ABC phonics, first words, numbers, fruits, vehicles, animals, dinosaurs, vegetables, animal sounds, birds, shapes, colors, months of the year, days of the week, lullabies, Christmas, and much more. * Stories that help kids learn to read. These stories with audio and video help children to read along. 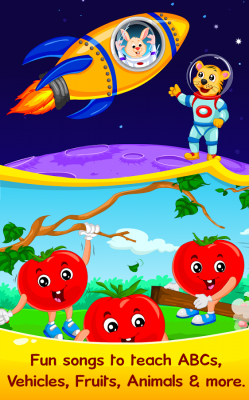 * Fun, educational toddler games that help the little kids learn. These include puzzle games, jigsaw puzzles, etc. 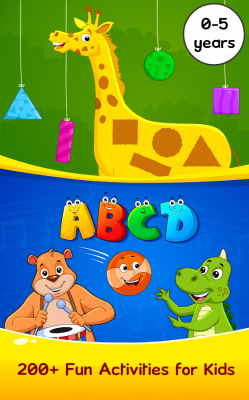 With ABC Phonics and ABC songs, learning the alphabet was never so easy. Sing along and play. If you want animal sounds for baby, first words for baby or maybe just lullabies or baby songs, get them all here. 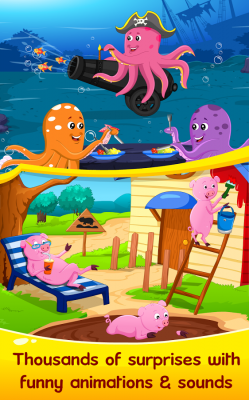 * Unlike other apps, KidloLand has nursery rhymes videos in which children can tap on the animals on screen to make them come alive with funny animations and sounds. * Parents want children apps which don't need Internet all the time. In KidloLand, once you download the content, no wifi is needed. It is the perfect app for road trips, flights, doctor waiting rooms and more, or just to keep children engaged at home. Ages: 1, 2, 3, 4, 5 years old. 24+ nursery rhymes and toddler games are free. The others can be purchased with a subscription. - Cancel subscription renewal anytime via Google Play. 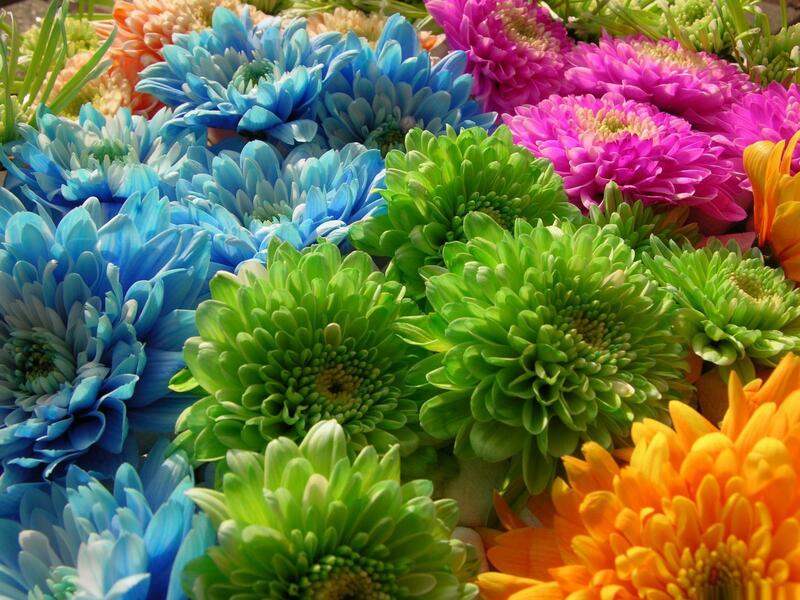 - Use the subscription in any Android Phone/Tablet registered with your Google account. 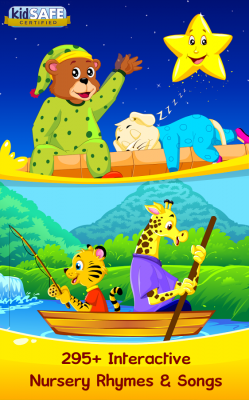 Download Nursery Rhymes & Kids Games from these app stores today.